He was well-known for his Marathon of Hope, that made him one of the famous athletes in the Canadian history. He was none other than Terry Fox, the athlete who lost his right leg to cancer. Terry Fox lost his leg to cancer in 1977. Then he decided to do something wonderful. He thought, if he was going to live, he was going to change something and would make a difference. 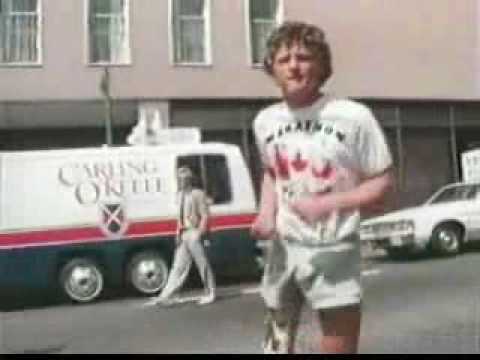 In 1980, with a strong determination, Terry Fox began Marathon of Hope. With an amputated leg, he embarked on a cross-Canada run. He would run 26 miles per day. Terry’s aim was to raise money and awareness for cancer research by running all throughout the Canada. But unfortunately, Terry Fox had to quit his Marathon of Hope, after completing 3,339 miles in 143 days, when his cancer spread to his lungs. After a courageous battle with cancer, he passed away in June 1981. But this was not the end; because his death gave birth to a new worldwide legacy – Annual Terry Fox Run. So far, the event could attract millions of participants in over 60 countries. It is now the world’s largest one-day fundraiser for cancer research, that has raised over C$600 million in his name. Terry Fox had managed to inspire an entire nation and left his footsteps for the rest of the world to follow. In the honour of this great athlete of Canada, numerous buildings, parks and streets are named after him.